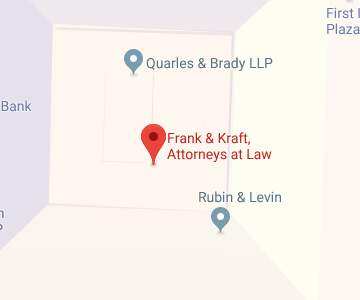 That is why Frank & Kraft, Attorneys at Law, offers this wealth of free information and free seminars. Read our Estate Planning articles, and if you’re in the area, join us at an Estate Planning seminar. We want you to feel confident about the choices you make—let us be your guide on the path toward preserving your family’s future. We provide comprehensive, tailored estate planning services to meet all of our clients’ needs. Below is a sampling of the type of services we offer. If you have questions about any of our services, please do not hesitate to contact us or call us at (317) 684-1100. Operating a dental practice can make it possible to earn a good living while providing important healthcare services to adults and children. When you own a dental practice, however, you must make sure you have taken the essential steps necessary to protect your license to practice medicine, to protect your assets, to grow your practice, and to ensure your practice can be effectively sold or handed down to the next generation if you wish to keep the business in your family. Investment advisory services offered through Frank & Kraft Wealth Coaching, Inc.